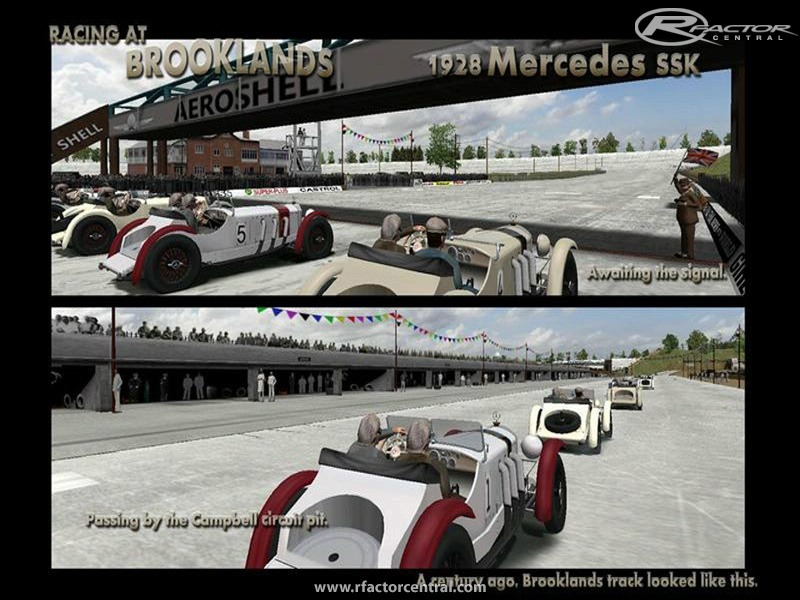 Brooklands is a motor racing circuit build near Weybridge in Surrey, England. It opened in 1907, and was the world's first purpose build motorsport venue. The track is built 100 ft wide. The banking is nearly 30 ft high. 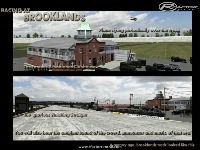 Brooklands as now 4 circuits. I tried to build this track as close to the real thing as possible. I have looked at hundred of photos and films. I added the sound of the announcer, crowd, and music. Also you will see the dust rising while racing. from the nearby airfield. The train on railway straight. -Added a New circuit, le Grand Prix, 2.616 miles. There are now, 4 circuit in total. -Changed direction of the Mountain circuit. -Gave Test hill a face lift. Nicer looking. -New Camera for all 4 circuits. (using Traveling camera). doing the AI. So I Redid all of the AIW. Now the AI rides higher in the banking. Also made them more competitive. -Took off the invisible wall on top of the track. 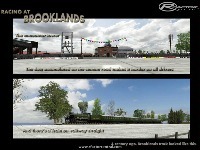 -Changed some textures around the track.(cosmetic). It gives it more realism. 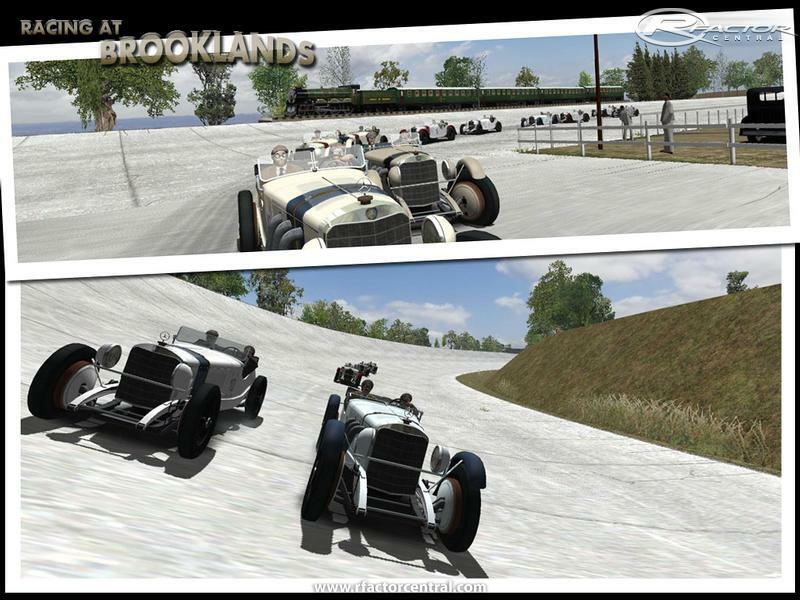 There are currently no setups for Brooklands. Add a Setup. I am new to rFactor 2. I have the 1937 addon and it runs very nice I would love the Brooklands track but can not find any were to download it, can any one help ? Thanks. The AI worked perfectly fine, but now when the AI transition from the banking to the flat part they either drift wildly or crash. all is great execpt the ai is bugged for me. at the moutain layout they brake on the banking, campbell they ran out of fuel on a5 race lap after the fourth , the grandprix they shifht on 4th gear wayyy too after the right time and the last one too or they are very slow. sad cos all is great exept that. i have rate all 5/5 but the ai i put a 1/5. 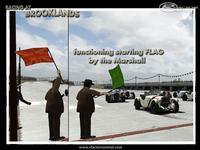 Just caught up with 37 mod but can't get more than a few laps out of your great looking Brooklands. No matter which layout I drive the computer locks up after a few laps and has to be rebooted. Is there a fix? Hope so because it looks so good. I'm having a problem running this track. 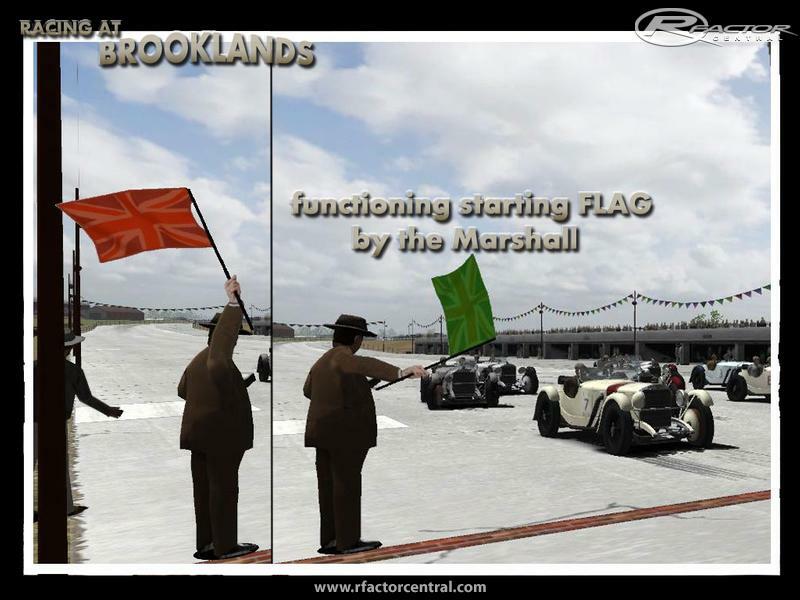 A trace shows the folloing error: "CUBE error loading scene file J:\PROGRAM FILES\RFACTOR\GAMEDATA\LOCATIONS\Brooklands37\GrandPrix\GrandPrix.SCN: Error initializing scene file J:\PROGRAM FILES\RFACTOR\GAMEDATA\LOCATIONS\Brooklands37\GrandPrix\GrandPrix.SCN"
Can anyone give a GOOD link to this track? 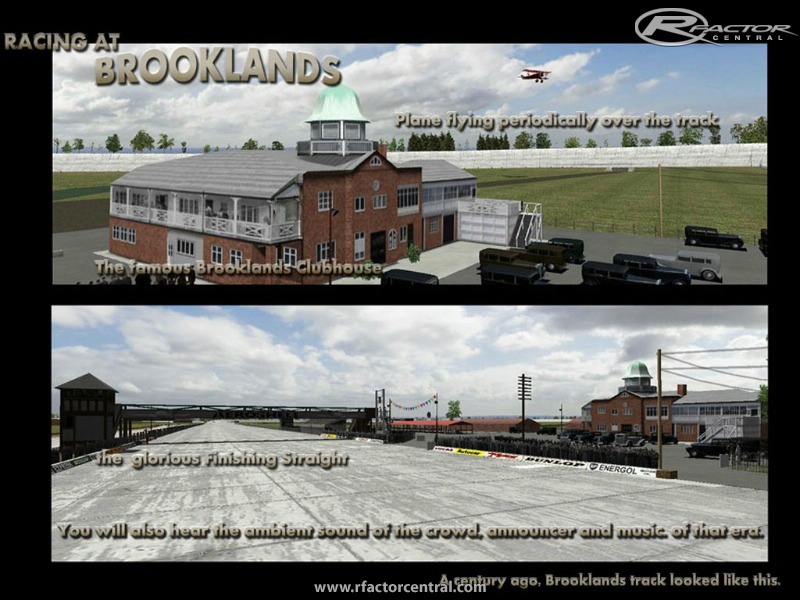 1937 Mod is just released and would love to run it at this track. Like the previous post every link is dead. Downloaded this and had a quick ten lap race....awesome! Remember that this was my favourite track (by far!) in the otherwise totally forgettable Spirit of Speed. However, I now have a problem. If I now select the track it just hangs at the loading screen and nothing happens. Have re-installed it several times without any luck! Hi F1Crisp, Yes you are absolutely right. There was a 3 sand bank chicane . I did make research on that but never did find any details with photos. But if you ever do find any info and details, I will put it in on a next update.